Red, White and Booze, Best of River North Crawl! July 1st, Roll through River North with your crew or fly solo and meet some new friends along the way. We will be hitting some of the top spots in the buzzing River North Bar and Lounge scene as we celebrate our great country! 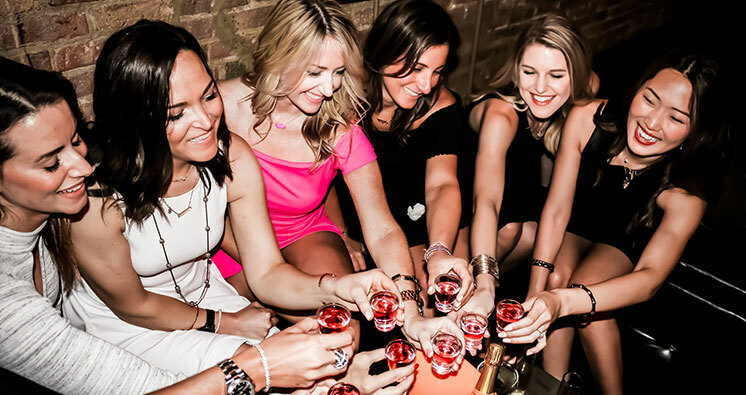 Meet a great group of new friends or enjoy an awesome night on the town with your crew at Chicago's top venues. for our photo contest with great prizes and the winner(s) will be posted the following week. 4:00-5:00 p.m. Untitled Supper Club - 111 W.
Kinzie- Meeting place and check in! Offers are valid only for above stated times and date. Crawl will proceed rain or shine, therefore, no refunds will be offered. Bring business cards if you have them to pass to your new friends and for the raffles. If not, we will have blank paper for you to use. Must be 21 years of age or older with proper ID to attend. Wednesday, April 5th, capture the spirit of Fellini’s Rome in the 1960’s, while making powerful new relationships and living “la dolce vita”. Expand your social and professional networks at Dolce Italian, last year’s winner of Bravo’s Best New Restaurant award. Our sponsor of this event is Peterson Technology Partners, the best in class Chicago IT staffing firm. Whether you are looking for opportunity or solutions, you can depend upon Peterson! Be sure to bring your business card to distribute and for the free door prize raffle. 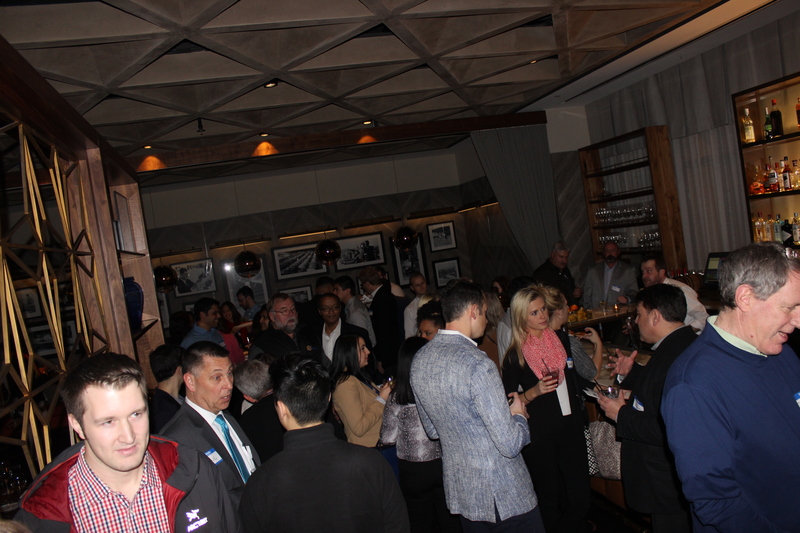 social and professional networks at Dolce Italian, last year’s winner of Bravo’s Best New Restaurant award. 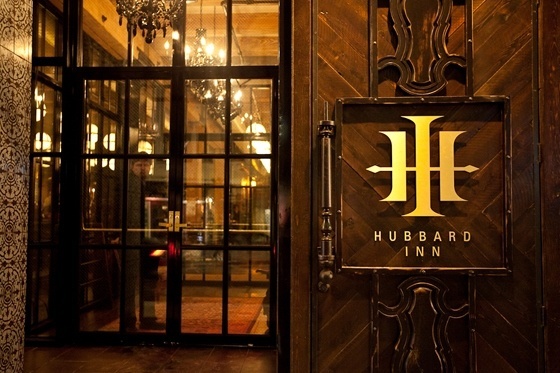 Drinks, Crab Legs, Shrimp and Networking with Top Level Professionals at Hubbard Inn! Meet us on the 2nd floor February 21st, 2017, from 6:00-9:00 p.m. at Hubbard Inn (110 W. Hubbard Street) in the heart of River North! Sections will be marked for various fields of professional and social interests so that you will be guided towards other like-minded individuals. Whether you are looking to upgrade your career, find great candidates for your company, talk about the latest in your profession, expand your social or professional network, or generate referrals, you can find it here. Free Door prize raffle drawing. Come to the registration table at 8:00 p.m. to see if you won. Please remember to bring business cards to distribute and for the free raffle. Choose from the following offers:� $25 ($50 value) for a tour for one person� $45 ($100 value) for a tour for two people� $80 ($200 value) for a tour for four peopleCupcake &amp; Macaron Tour of Seattle Website "
Ticket for "A Gentleman's Guide to Love & Murder"
Choose from the following offers:� Starting at $30 ($46 value) for a second tier front rows G-J ticket� Starting at $46 for a second tier front row G ticket� Starting at $40 ($58 value) for an orchestra rows W-CC ticket..."
Ticket to Arthur Miller's "The Price"
In the aftermath of the tragedy of the Great Depression, Victor Franz must return to his childhood home to sell the remainder of his family's estate. Forced to confront the ulterior motives of his wife, his estranged brother, a..."
Choose from the following offers:� $25 ($50 value) for admission for one person� $45 ($100 value) for admission for two people� $80 ($200 value) for admission for four peopleBest Tours Website "
An intersection of cultures, languages, backgrounds, and beliefs, there's one thing Toronto residents can all agree on �� how good the city's food is. Witness some of North America's coolest gastronomic innovation during this e..."
Learn the history, business, and cultural of coffee while visiting some of Toronto's favorite java spots. You'll also see one of the city's best baristas demonstrated how to make perfect coffee, including coffee art, and visit ..."
Filled with delicious pastas, pizzas, cheese, fresh salads, and more, Toronto's Italian food scene is not to be missed. Find out where all the hot spots are on this informative (and tasty) tour, where you'll munch on gourmet tr..."
Loved globally, Toronto is a city known for its multicultural flair. But who knew it was also home to tons of unique chocolates, too? On a fun tour, these guides will show you the zaniest and tastiest sweet treats in the area. ..."